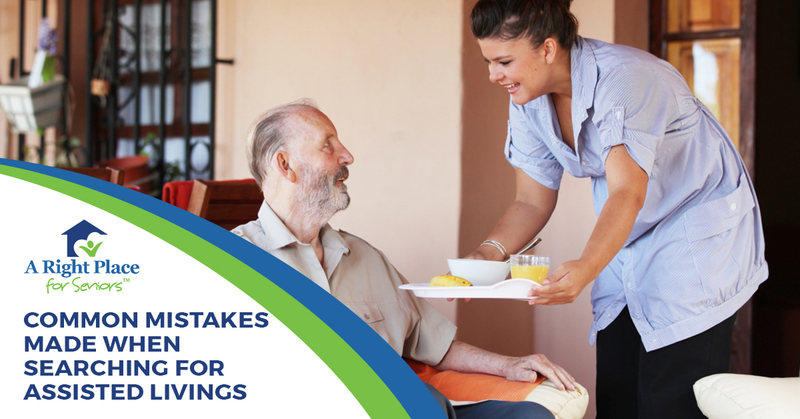 Don’t let common mistakes lead you down the wrong path when searching for an assisted living facility. Mistake #1. Judging the community based on appearance alone. There are many different variables that make up the best assisted living communities, which include a safe environment, a caring staff, plenty of activities to keep you entertained, a thriving social calendar, good food and many more. One of those variable includes the aesthetics of the community, but it’s important to note that aesthetics aren’t everything. You might be surprised to learn that some of the most beautiful communities don’t provide the kind of care you deserve, aren’t safe and are generally just the wrong kind of atmosphere, and some of the shabbiest communities have the most heart and are the most dedicated to providing you with the kind of care you deserve. While it’s important to like the way that the facility looks, you should never let it be the sole factor in your decision. Mistake #2. 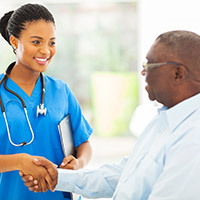 Failing to be realistic about your current or future care needs. No one wants to be in a situation where they move to an assisted living facility, only to have to move again in a few weeks or months because it cannot provide them with the kind of care that they need. When you’re looking at different assisted living communities, it’s essential to be honest with yourself about what kind of care that you or your loved one needs, and if the facility can provide that level of care. Mistake #3. Choosing a community for you instead of your loved one. If you’re in the process of looking for an assisted living community for your loved one, it can be difficult not to let your own personal tastes and preferences cloud your judgement. This could lead you to pick a place that may be perfect for you, but might not be such a great option for your loved one. If it’s possible, make it a point to bring along your loved one when you’re touring different communities, and allow them to be a part of the decision making process. After all, it’s their life; they should have a say in where they live. Mistake #4. Putting too much emphasis on proximity. In some cases, people will choose a facility that is a few miles closer, even though there may be a better fit down the road a little bit. Most of the time, this is done from a place of good intentions to visit on a regular basis. But, keep in mind that, even if you visit for a couple of hours every single day, your loved one has to live in that facility for the rest of the time, and for all of those times you aren’t there, the staff needs to be able to meet your loved one’s needs. While it’s tempting to put the convenience of easy access above everything else, it’s far more important than the facility’s ability to provide your loved one with the level of care they need and deserve than it is for you to have a fast commute when you visit them. Mistake #5. Failing to thoroughly and completely read the contract. While, in general, most assisted living contracts are fairly easy to understand and straightforward — at least as easy to comprehend as any legal document could be — they can still contain confusing legal jargon or additional fees that aren’t overly obvious. This leaves some people signing contracts when they aren’t fully prepared for all the fees, or aren’t aware of price increases down the line that they might not be able to afford. Mistake #6. Rushing into a decision. The decision to move into an assisted living — or to place your loved one in an assisted living — is a big one, and it’s one that should never be rushed. But, unfortunately, many people and families make the mistake of rushing into this oh-so-important decision. There are many different reasons for this. Maybe you’ve already taken steps to sell your home, and your closing date is looming closer and closer. Or, maybe you or your loved one simply can’t afford to wait to get the help necessary to live a safe, healthy life. Some families are so focused on getting their loved one into an assisted living facility that they simply choose the first option they look at, without doing the proper research or looking into what else is out there. You might luck out and find the right facility right away, but there’s a far greater chance that you or your loved one will end up in the wrong facility if you rush into the decision too quickly. Mistake #7. Attempting to get through the process without any additional help. In most cases, when you’re looking for a product or service, it’s relatively easy to find the right option on your own. After all, you know exactly what you’re looking for most of the time; you just have to find it. But, shopping for the right assisted living is not as simple as shopping for almost anything else. There’s a lot to consider, including your current and future needs, how safe the facility is, if they have enough staff to properly care for you and so much more. If you’re new to the process, it’s easy to allow some things to fall through the cracks. That’s why it’s always advisable to have someone with experience and expertise on your side to help you make this large, incredibly consequential decision. Let our Senior Living Consultants help you avoid these common mistakes. As you can see, it’s incredibly easy to make mistakes when looking for the right assisted living facility, but luckily, you have A Right Place for Seniors on your side. Our team of Senior Living Consultants is dedicated to helping you find the right option for your needs, and we’ll help you avoid these and many other common mistakes people make during the process, making every step of the process easier and more streamlined. Best of all, since we work with our own vast network of safe, high-quality assisted living facilities, we can help you find the right assisted living at absolutely no cost to you. That’s right, our senior placement services are FREE! Contact us today to find a Senior Living Consultant near you!